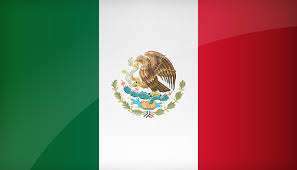 A long overdue update in Mexican gambling laws promises to bring some clarity to online gambling regulations in North America’s second largest market. The Mexico gambling legislation update, which will likely be approved later this month, includes several aspects designed to address gambling activities, which have proliferated across the country of 120 million. After being hammered out in form by the Mexican agency responsible for gambling matters, the Association of Licensees, Operators and Suppliers of Gaming and Entertainment in Mexico (AIEJA), the new initiative is set to be introduced to Mexico’s Parliament on September 9th. The initiave will first be considered by Mexico’s House of Representatives. The legislation will likely be fast-tracked and could be approved as early as September 20th, according to AIEJA’s president, Miguel Angel Ochoa Sanchez. Mexican officials have cited concerns over money laundering and various forms of illegal trafficking, from drugs to humans, as reasons for updating the country’s old gambling code. Parts of that code date back to 1947. Online gaming specifically has been overlooked in earlier updates. It is not clear whether the new initiative will contain any player-specific elements, or will instead, as most reports indicate, focus entirely on providers of gambling services within the country. Quasi-illegal gambling shops have proliferated across Mexico in recent years, with slot machines and other gambling opportunities available in numerous outlets — such as drug stores — with little legitimate business ties to gambling. The confiscation of gaming devices found in these venues and the issuance of significant fines is one of the elements known to be included in the initiative. Such outlets are expected to be the first to receive the new form of Mexican gaming licenses to be issues under the new initiative, if passed. Old Mexican gambling laws allowed for the issuance of “collective licenses” that covered many outlets and gambling forms, but those were susceptible to widespread abuse. The new laws will dictate “one license, one room,” meaning that online-venues licensed in Mexico will be created and regulated specifically for that format. Mexico’s long-standing gray market position regarding online gambling and poker will likely undergo a transition in the wake of the bill’s passage, which is expected to be the first step of a lengthy legislative track on gambling matters that will stretch well into 2015. Mexico is today known as being one of the most popular destinations for United States ex-pats looking to play online poker against international competition. Several hundred middle- and high-stakes Americans have relocated to Mexico, primarily to Baja California and resort communities on both coasts, where they participate online under an unofficial Mexican flag. Mexican officials have promised to reconsider the prospect of live poker tournaments as well. Big-time tournament poker’s single visit to Mexico ended in disaster back in December of 2008, when local gaming officials stopped play midway through the first PokerStars-sponsored Latin American Poker Tour event in Nuevo Vallarta, Mexico. The official statements issued in the wake of that event’s unexpected cancellation confirmed that local officials had rescinded the LAPT’s gaming license for the event, though widespread rumors regarding that unfortunate occurrence tossed blame everywhere, from the local officials allegedly seeking extra under-the-table payments, to the possibility that unauthorized cash games were also being run in addition to the approved tournament events. Securing formal licensing and protection against a repetition of that type of happening is mandatory before major poker events consider a return to Mexican territory.